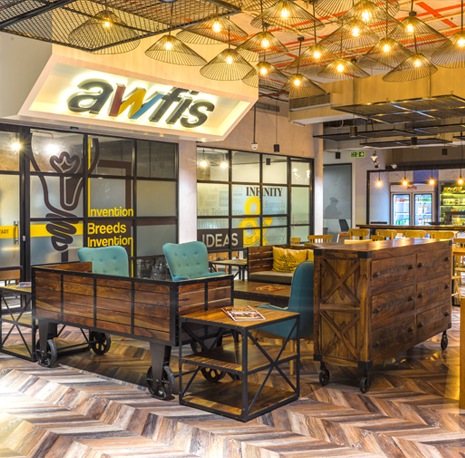 In April, Awfis, the country’s largest co-working space provider, announced that it has raised $20 million (₹130 crore) from Sequoia Capital. This, so far, has been the biggest fund-raising in the segment. Co-working spaces — where professionals of multiple companies operate simultaneously — has seen a rise in the country. And if market sources are to be believed, the number of such space providers has jumped 400 per cent to 350 till FY17, from just 80 in FY16. PE firms are also said to be evincing interest in the segment. According to Neetish Sarda, Managing Director, Smartworks, the second largest co working space provider, his company is also in talks with PE funds for raising capital to fund expansion. “Ideally, we would look at raising ₹100 crore plus. Apart from the capital, PE funds would also bring in expertise,” he told BusinessLine. A report by real estate consultant firm CBRE says the co-working space in India is expected to touch 10 million sq ft by 2020, with 2017 witnessing absorption of nearly 1.5 million sq ft.
“Leasing activity by shared office operators more than tripled in 2016 to 0.7 million sq ft as compared to 2014 (when it was a little over 0.2 million sq ft),” the report mentioned. 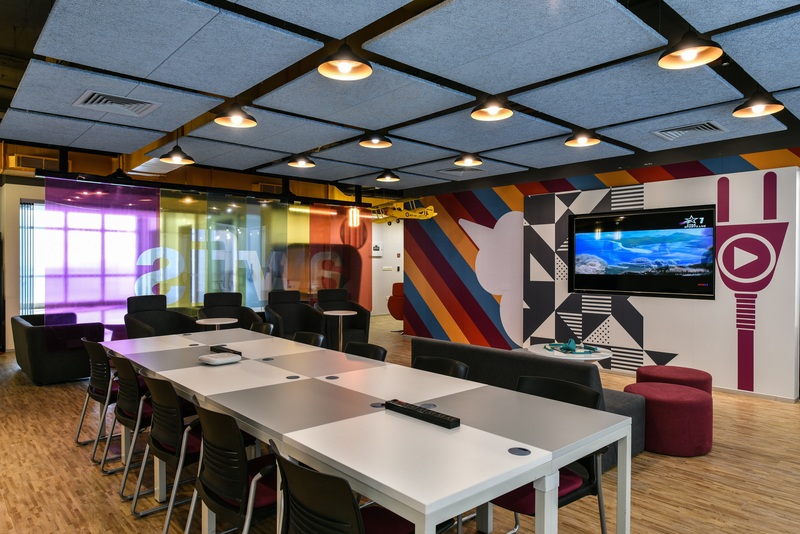 Delhi-headquartered Awfis Space Solutions and Kolkata-based Smart Work Business Centre Pvt Ltd control nearly 70 per cent of the co-working space market in the country, sources said. Spaces are primarily spread across cities like Hyderabad, Pune, Bengaluru, Mumbai, Noida, Kolkata and Gurgaon. Global players are also showing interest in this segment with American co-working space company WeWork — the eighth most valuable global start-up — entering India by taking up spaces in Mumbai and Bengaluru. 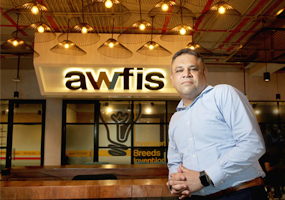 Flush with funds, Awfis now plans to expand to Chennai by December while it will also explore smaller Tier-II cities like Jaipur, Chandigarh and Indore. It already has one million sq ft of space. According to Amit Ramani, Founder and CEO, the plan is to take it up to two million sq ft by March 2018 and to 3.5 million sq ft by December 2018. Kolkata-based Smartworks has around 450,000 sq ft. It plans to add another 250,000 sq ft of space focussing on Hyderabad and Chennai by the end of this year, apart from adding new spaces in cities where it is already present. It will also explore Tier-II cities like Bhubaneshwar, Chandigarh, Coimbatore and Ahmedabad. “By the end of this fiscal, we will look to have 1.2 million sq ft of space,” Smartworks’ Sarda said. Typically, a co-working space provider leases an office space and rents it out, charging according to the number of desks and hours used. But newer revenue models are also being explored. For example, community-based offerings, canteen services and office rewards programmes are being considered. The other way could be to provide convenience services or have tie-ups with other companies and get facilities at a discount like tying up with a PC maker (who is also a tenant) to provide desktops / laptops for the office and so on.